The attorneys at Neblett, Beard & Arsenault know you have questions about your brain injury. That’s why we’ve compiled answers to your most critical questions about this type of injury and how to recover for damages. 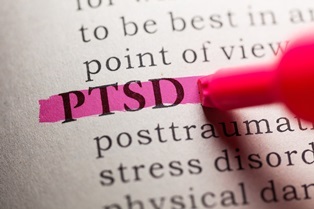 The relationship between brain injuries and post-traumatic stress disorder (PTSD) is complex. Since PTSD is a mental health disorder, it's not caused by a brain injury. However, the two conditions can cause overlapping symptoms and create complexities in the treatment process. Brain injuries are diagnosed with a neurological examination and imaging tests such as a CAT scan, an MRI, or a PET scan. Although brain injuries don't cause PTSD, it's possible to develop the condition after any traumatic event. Memories of the accident that caused the brain injury, as well as the emotional trauma associated with the injury, can trigger PTSD symptoms that complicate the rehabilitation process. The risk of developing PTSD after an accident causing a brain injury is higher in people with a past history of a mental health disorder such as anxiety and depression. People who are socially isolated and lack a strong support post-accident support system also face a higher risk. To some extent, experiencing these symptoms immediately after involvement in a traumatic event is entirely normal. To qualify as PTSD, symptoms must persist for more than a month and cause significant problems in the ability to complete everyday activities or maintain relationships with others. Mild forms of TBIs are generally treated with rest and close monitoring of symptoms. Patients are urged to avoid physically strenuous or cognitively taxing activities to give the brain time to heal. In more serious forms of brain injury, medication may be given to control seizures or reduce pressure in the brain. Surgery may be performed to control bleeding in the brain or repair a fractured skull. Someone with a serious TBI will require ongoing rehabilitation to relearn basic skills. This can include learning how to perform tasks such as walking, talking, and self-feeding. The patient's care team will include a neuropsychologist who evaluates cognitive impairment and performance, provides psychotherapy, and develops treatment plans to help the patient manage behaviors and learn effective coping strategies. PTSD is treated with Cognitive Behavioral Therapy (CBT), either in the form of Cognitive Processing Therapy (CPT) or Prolonged Exposure (PE). CPT helps individuals better understand how the triggering event has affected their thoughts and feelings. PE consists of slowly exposing PTSD sufferers to situations or events that trigger symptoms until they are able to react in a more controlled fashion. Medications can't cure PTSD, but they can be used to manage specific symptoms. Selective serotonin reuptake inhibitors (SSRIs) and serotonin-norepinephrine reuptake inhibitors (SNRIs) can minimize symptoms of depression, while Prazosin can control nightmares. If you've suffered a TBI and are experiencing symptoms of PTSD after an accident caused by another party's negligence, you may be entitled to compensation for your medical expenses, lost wages, and pain and suffering. If you're partially at fault for the accident that caused your injuries, you can receive compensation that is proportionally reduced by your assigned percentage of fault. Neblett, Beard & Arsenault's legal team advocates for injured Louisiana residents throughout the process of resolving their personal injury claims. To learn more, please contact us online or call us directly at 318.588.6303 for a free consultation. Our experienced lawyers work on a contingency fee basis. What types of compensation can I receive for a TBI? A traumatic brain injury (TBI) can have life-altering effects, including physical discomfort, sensory deficits, cognitive impairment, and changes in mood or behavior. If you've suffered a TBI as the result of another party's negligence, you may be able to file a personal injury claim to receive reimbursement for your injury-related expenses. A TBI is any injury that impairs the brain's normal function, and this type of injury can have many different causes. Personal injury claims often involve a TBI that is the result of a car accident, but you can also sustain a TBI as the result of a slip and fall or a dog bite attack. The mildest type of TBI is a concussion, which typically only requires physical and mental rest for a full recovery. The most serious types of TBI can cause death or lasting disabilities requiring constant nursing care. Doctors classify a TBI as either open or closed. A patient with an open TBI has had an object physically penetrate the skull and enter the brain. A patient with a closed TBI has suffered a bump, blow, or jolt to the head. 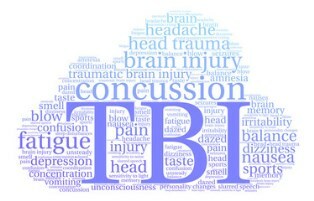 A closed TBI is the most common type of injury. People can suffer a TBI at any age, but children are the most vulnerable because their brains are still developing. If a child suffers a TBI, his parent or legal guardian can file a personal injury claim on his behalf. Medical expenses. You can receive reimbursement for emergency care, diagnostic tests such as MRIs or X-rays, surgery, medication, and therapy. If you will need ongoing medical care or physical, speech, and occupational therapy, the anticipated costs of these can also be included in the settlement. Lost wages. This category of compensation includes work time missed while you were recovering from your injury as well as any applicable reduction in your future earning potential due to the long-term effects of a TBI. Pain and suffering. Personal injury claims for pain and suffering include reimbursement for both the physical trauma and the emotional pain of being injured. Medical expenses and lost wages are calculated based on documented expenses related to the accident. Pain and suffering is most often calculated as a multiplier of your medical expenses. In cases involving a serious TBI, settlements can be substantial due to the level of impairment the plaintiff experiences. Louisiana personal injury law still allows you to collect compensation for a TBI even if you were partially at fault for the accident. However, your settlement will be reduced by your assigned percentage of fault. This means, if you were 25% at fault for the accident, you'd receive 75% of what the settlement would be if the other party was entirely responsible. To protect your legal rights, it's vital that you enlist the services of an attorney who is experienced in handling personal injury claims involving a TBI. Your attorney can line up experts to testify on your behalf and negotiate for the highest possible settlement. Personal injury attorneys work on a contingency fee basis, which means there is no upfront expense associated with your case. Your attorney will accept a percentage of the settlement as a fee for his services. Any necessary case expenses will also be paid out of the settlement, so you're free to focus on your recovery without worrying about the cost of representation. Neblett, Beard & Arsenault is committed to helping Louisiana residents who've been injured due to the negligence of others receive fair and prompt personal injury settlements. Please call today to schedule a free, no-obligation case review. ?Can a brain injury cause PTSD? ?What types of compensation can I receive for a TBI?